Offers if any due by Monday 4/8 at 6PM. 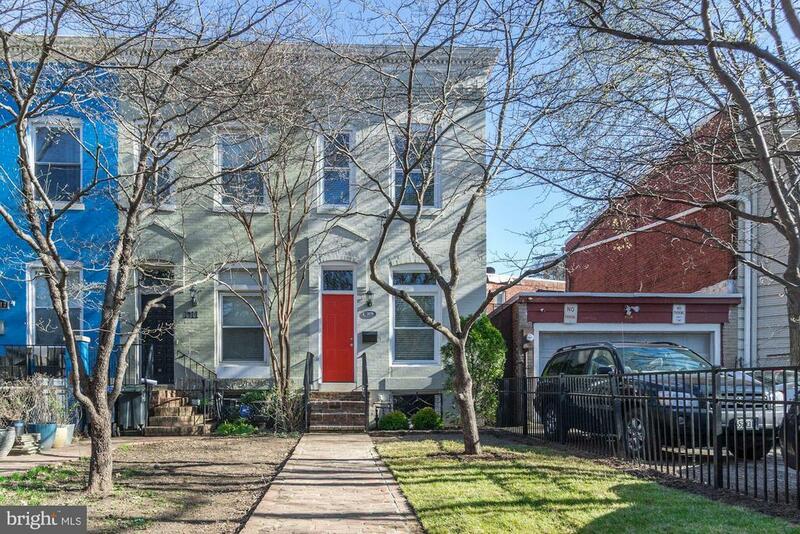 Fabulous 2-bed 1.5-bath Capitol Hill corner rowhome with tons of upgrades! Enter to gleaming hardwood floors and exposed brick walls. Fresh paint throughout! Kitchen boasts ample cabinetry, butcher block counters, and all stainless-steel appliances. Large windows, patio doors, and second floor skylight make for a bright and airy home. Master bedroom boasts spacious walk-in closet and new windows. Relax on peaceful and private rear patio, or cozy up by living room wood fireplace. Great additional storage space in basement! Seconds to Potomac Metro, Barracks Row, Eastern Market, plus several grocery options, bars, and restaurants within a few blocks. Walkscore of 90 - dont miss this!